A notorious unsolved California mafia murder prevented Jerry Tarkanian from coaching the “Showtime” L.A. Lakers of the 1980s.Tarkanian, a legendary college basketball coach who led University of Nevada-Las Vegas to back-to-back NCAA championship games and the 1990 National Title, was about to sign on as the Lakers new coach in the summer of 1979 until his agent and close friend, west coast mob associate Victor Weiss, was brutally slain. Weiss’ murder was carried out right after he left a meeting at a Beverly Hills hotel in which he had negotiated the final details of Tarkanian’s contract with Lakers owner Jack Kent Cooke and owner-to-be Jerry Buss. Nobody has ever been arrested in the case and today, 36 years later, it remains a mystery. Following Weiss’ trussed, decomposing corpse being found in the trunk of his maroon-colored Rolls Royce in a North Hollywood parking garage on June 17, 1979 – he was shot twice in the back of the head –,Tarkanian removed his name as a candidate for the Lakers coaching job and stayed on the Strip to build his UNLV Runnin’ Rebels into a national power in the 1980s and early 1990s. Jack McKinney was hired by Lakers management instead. Paul Westhead took over from McKinney early in the 1979-1980 campaign (McKinney was badly injured in a bike accident and forced to step down) and spurred the Magic Johnson-and-Kareem Abdul-Jabbar-headed Lakeshow to their first of five crowns in the next eight years. Eventual Hall of Fame coach Pat Riley grabbed the reins on the bench from Westhead in the 1981-1982 season and steered L.A.’s ship to its last four NBA-title banners of the era, capped by repeat championships in 1987 and 1988. 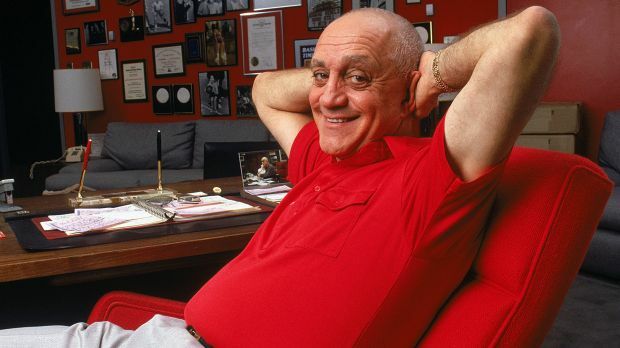 The easy-going, quirky and quick-to-give-kids-a-second-chance “Tark the Shark” had his near-two-decade rein atop the Las Vegas sports scene come tumbling to the ground due to his UNLV program’s connection to infamous east coast gangster and point-shaver Richard (Richie the Fixer) Perry, a convicted New York racketeer tied to the Genovese and Lucchese crime families. Forced to resign in 1991 in the aftermath of pictures of Rebels players in a hot tub and on a custom-made backyard basketball court with Perry being printed in the paper and further news of Perry’s links to the UNLV athletic program surfacing in the media. Tarkanian finished out his coaching career with a brief stint in the NBA with the San Antonio Spurs and finally with a successful twilight tenure at Fresno State in the late 1990s and early 2000s. Weiss, 51 at the time of his death and a frequent social companion to the movie, television industry and pro athlete elite, was a businessman (real estate, insurance, car dealerships), sports and concert promoter and a part-time agent and alleged to have had at least one foot in the underworld, per FBI informants, engaging in financial transactions with a number of mobsters and drug dealers on the west coast in the years before his execution. Born in Pennsylvania and moving to Pasadena in his late teens, he and Tarkanian were longtime friends and college classmates. Tarkanian was the toast of the town in Vegas in the late 1970s, a citywide celebrity and growing local cultural iconoclast equal to that of Frank Sinatra and his Rat Pack, Elvis Presley and Siegfried & Roy. His 1977 Rebels club was ranked No. 1 in the country and advanced to the school’s first-ever NCAA Final Four. In 1979, the Lakers saw Jerry West step down from his head coaching position to accept the historic franchise’s general manager role instead. As Jack Kent Cooke prepared to sell the team to Jerry Buss, Buss set his sights on the fan-friendly, fun-loving and quick-witted Armenian with the face of a bulldog and the penchant to allow his players to be free spirited and have his club’s run-and-gun on the basketball floor at every opportunity. Kent Cooke had done the same in a fruitless endeavor two years prior. Of similar demeanor and mindset, Buss, like Kent Cook did, fell in love with the idea of luring Tarkanian away from the college ranks and into the coach’s chair at the Fabulous Western Forum (the team’s then-hip and glamorous home arena). He was on the verge of doing just that. But Tark the Shark backed out on the eve of signing the contract – set to make him the highest-paid coach in NBA history – when Weiss showed up dead. During the final years of his life, Weiss was seen palling around with Anthony (Tony the Ant) Spilotro, the Chicago mafia’s wild and crazy west coast representative stationed in Las Vegas and is suspected to have been possibly acting as a courier of skimmed cash for the Spilotro crew, whose violent exploits were portrayed in the Martin Scorsese movie Casino (1995, starring Oscar-winner Joe Pesci as Spilotro). 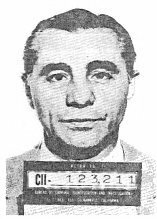 According to the FBI records, Weiss was also a big gambler, in debt to the mob for a substantial amount of money and was being accused by the mafia of “skimming the skim,” taking portions of stolen money from the Vegas casinos for himself while delivering it to Spilotro and Spilotro’s crew, some of whom were located in the Los Angeles area where he lived. The reason he was couriering the cash in the first place, per the FBI records, was to work off his gambling debt. FBI surveillance logs show Weiss meeting with both Spilotro’s primary California lieutenants, Joey Hansen (L.A. rep) and Chris Pettit (San Diego rep) in the days leading up to his murder. In the mid-1970s, Weiss brokered an endorsement deal for Tarkanian with Royal Reservations, a mob-controlled casino-and-hotel junket business ran by Dave Bliss, a buddy of Spilotro’s who eventually was nailed for bribing public officials and testified against Spilotro crew loanshark Eathel (Tex) Gates in court. Gates was sent away to prison for eight years, based mainly on Bliss’ testimony. 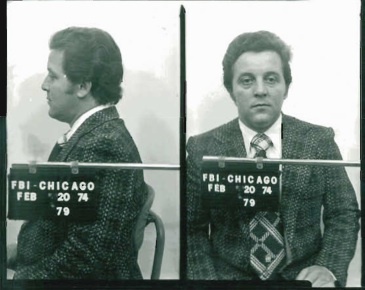 Spilotro was heard on FBI wiretaps placing a murder contract on Bliss’ head that never occurred. Tony the Ant was executed in a suburban Chicago basement for his incessant insubordination in Nevada in June 1986. Additional California State Police files peg Weiss an associate of the L.A. mafia, noting his dining on a regular basis with known Dragna crime family soldiers Ross Lantieri and Joe Sica and his business dealings with both of them, including Weiss allegedly running bookmaking and gambling “layoff” rackets in partnership with Lantieri and holding mutual interests in the prize fight game alongside Sica, a heavily-respected gangland figure in LaLaLand dating back to the 1940s and 50s and his days as a bodyguard for Hollywood Jewish mob icon Mickey Cohen. 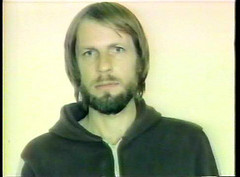 Sica and his brothers oversaw their own faction of the California underworld in the 1960s, 70s and 80s. Howie Steindler, an associate of Weiss’ and Sica’s in the west coast boxing world, was found as “trunk music” in 1977, killed in the same fashion Weiss would be two years in the future. Sica was a suspect in the Steindler hit, however never charged. He died peacefully, a free man in 1992 on his ritzy ranch just outside L.A.
Gregarious, garish and husky, Weiss had a late-afternoon meeting with Kent Cooke and Buss at the Beverly Comstock Hotel bar on June 14, 1979 and left in his Rolls with a fully negotiated contract in his Gucci leather briefcase. On his way to hook-up with his wife Rose for dinner at Monty’s, a favorite restaurant of theirs’ in the San Fernando Valley, he disappeared. Three days later, his body was discovered – North Hollywood Police were called to investigate an abandoned Rolls Royce emanating a foul odor in a parking structured adjoining a Sheraton Hotel. Found in the trunk with his hands and feet tied behind his back, his killing was almost immediately ruled organized-crime related by the FBI because of his background, criminal associations and the fact that his murderers left behind all of his jewelry (diamond pinky ring, a solid-gold Rolex watch given to him as a present from a music-industry starlet) and money in his pocket ($38,000). What was missing was the briefcase with the contract inside. Investigators were able to trace Weiss’ route from the Beverly Comstock to Encino in the San Fernando Valley, where witnesses saw him pull his car over on the side of the road and engage in a shouting match with three men in a Cadillac, who had pulled over behind him. The men in the Cadillac (one described as 6-foot-5, with sandy blonde hair) eventually got into Weiss’ Rolls Royce with Weiss at the wheel and were seen pulling out back into traffic and heading north on the Hollywood Expressway. These men have never been identified, Weiss was never seen alive again. Police speculate he was done away with shortly thereafter, possibly within minutes. 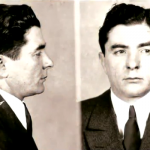 At least three suspects in the Weiss murder were murdered themselves in the decade that followed – none connected to the case though: Jeff Rockman, a jewel thief and bank robber in the Federal Witness Protection Program formerly known as Anthony Starr, feared Wonderland Gang boss and lunatic drug lord Ron Launius and Horace (Big Mac) McKenna, a one-time cop-turned drug dealer, bookie and pimp. All three interacted with Weiss and are thought to have been doing business with him in some form or another. Weiss’ name came up in money-laundering investigations involving a number of treacherous characters like Rockman-Starr, Launius and McKenna. 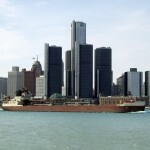 Rockman was killed on April 1980, probably for his testifying in court against his former gangster chums in Detroit. Launius and three others were heinously bludgeoned to death in the grisly Wonderland Apartment massacre in July 1981 on orders of L.A. crime boss Eddie Nash for their armed robbery of his mansion days earlier. McKenna, a flashy former Spilotro Southern California mercenary, was killed by machine gun fire in March 1989 as a result of a falling out with his business partner in a chain of strip clubs.